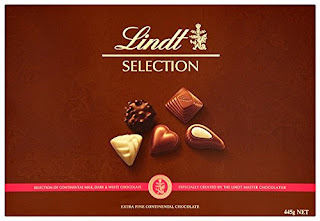 If you're a chocolate aficionado, then this Lindt Selection of chocolate are for you, they are just a real pleasure. Tasting just one of these should be on your to do list of indulgences. However, be warned it is not easy to eat just one. 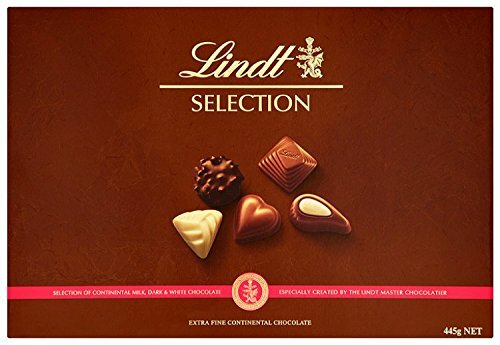 This Lindt Selection is presented as individually chocolates in box. It is difficult to criticize these superfine chocolates, which are made with the finest quality ingredients. Many a handmade purveyor cannot reach, or emulate the delicious taste and texture of these gorgeous chocolates. They are my favourite chocolates of all time. At Christmas I have given a few boxes as extra presents, and they always go down a treat.